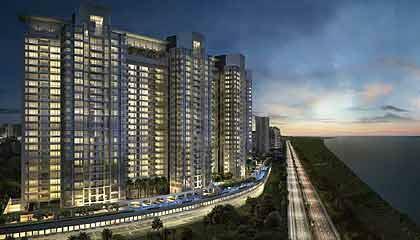 The Palm Beach Residency in Navi Mumbai has redefined luxury. Located on the Palm Beach Road, it offers panoramic views of the Arabian Sea on one side and of the Western Ghats on the other. With a host of amenities like infinity edge swimming pool, jacuzzi and other water features the Palm Beach Residency stands resplendent with a promise of unforeseen luxury. The nearest golf course is just 1 km from the project and the upcoming international airport is 6.5 km.